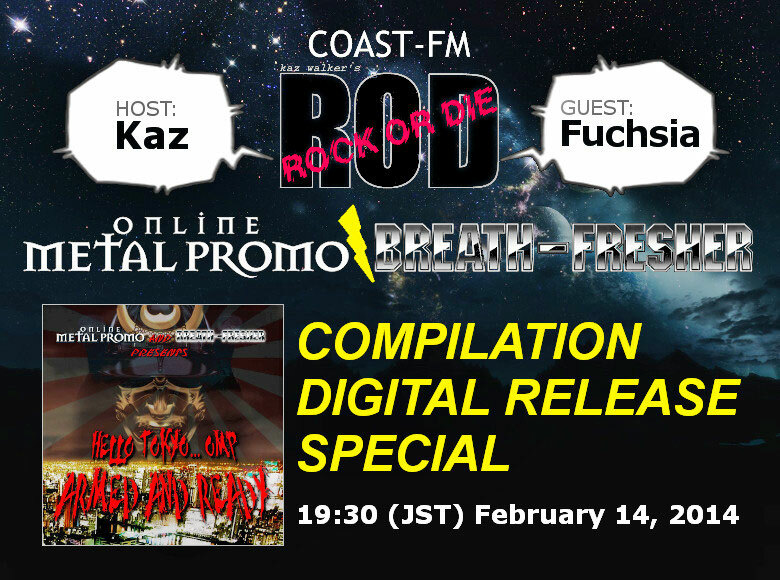 Kaz Walker's ROCK OR DIE will have Fuchsia as a guest on a special program for our compilation CD at 7:30 pm (JST)on February 14th 2014. Some out of 30 bands on the CD will be featured on the show. Hard Rock and Heavy Metal fans, stay tuned. Your song request is always welcomed on the program. Contact ROCK OR DIE on facebook for your request.